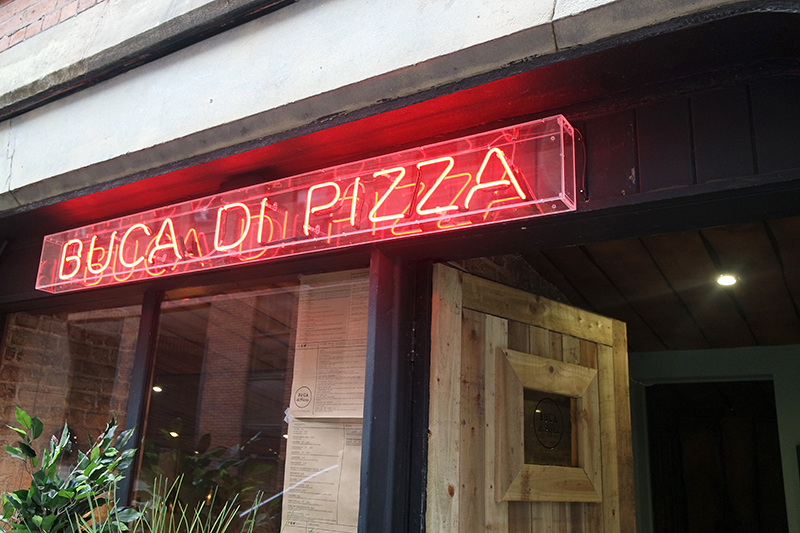 Today brings a new Manchester restaurant opening that I was really excited about - Buca Di Pizza*. 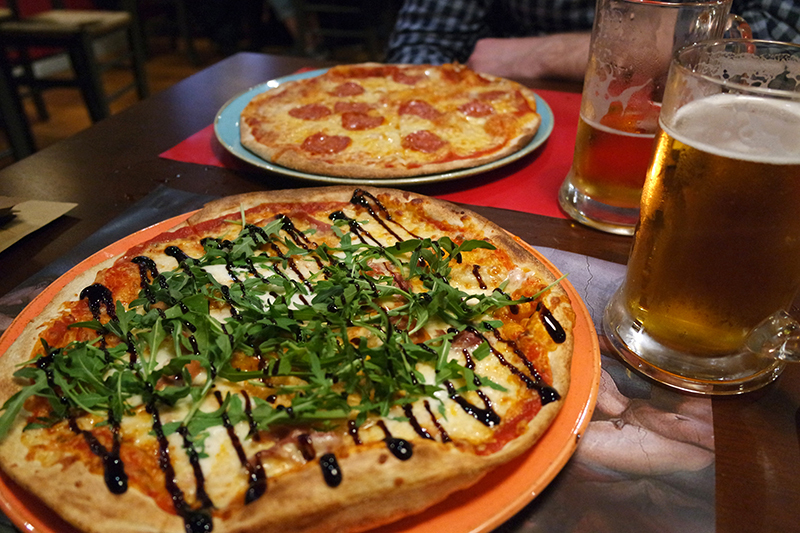 This independently run pizzeria has already made a name for itself in Leeds for its 'Tutto' deal - unlimited pizza orders with bottomless refills of prosecco or house lager for an hour and a half. I went down to the new cellar-style restaurant on Lloyd Street (close to Red's True BBQ) shortly after the opening to see if it lived up to expectation. The restaurant is really nicely decorated inside. Walking down the steps from street level, you feel like you've stumbled across a real hidden gem. 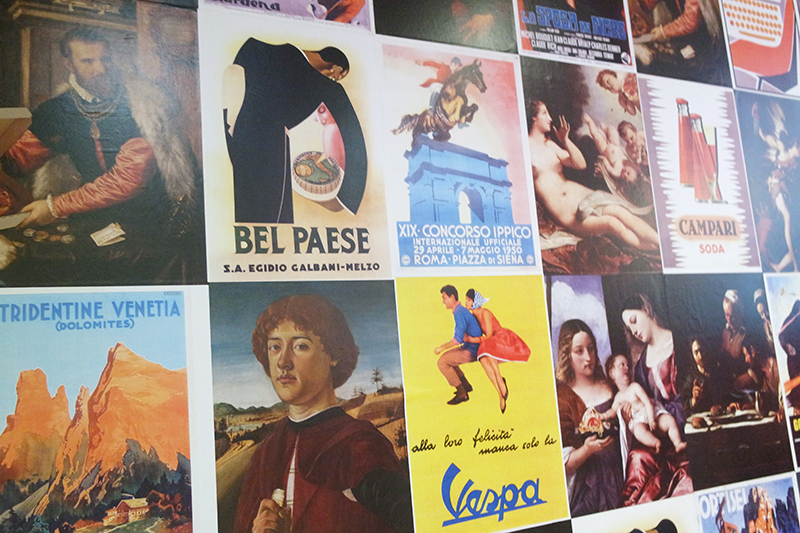 Buca Di Pizza, Manchester feels like an unassuming, Italian cafe, classically designed but with quirky relics lining the walls. 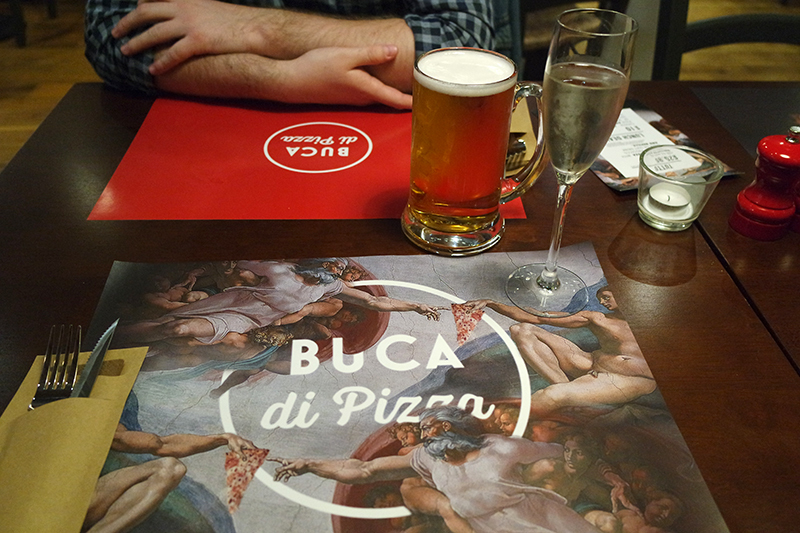 Opting for the Tutto deal, of course, I started off with prosecco (which was perfect) before trying the 'house' birra - which I'm usually a bit dubious of but I was pleased to find that Buca Di Pizza's was great! I was amazed at the choice on the menu. BDP specialise in Neapolitan style pizzas with 'a modern twist', with the menu split between classic Italian toppings and their own creations - including notable pizzas like 'The Snake Charmer' (Goan coconut curry sauce, chilli glazed paneer, lamb koftas, onion bhajis, grated carrot & beetroot, mint yogurt) and 'Rome of the East' (sweet potato & chickpea sauce, crunchy fried falafel, herb marinated feta, red onion, rocket and chili & mango dressing). 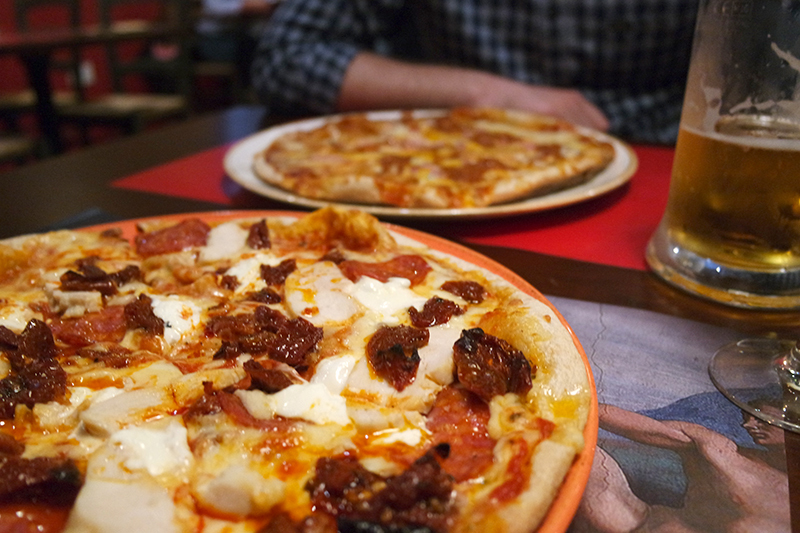 Our first pizza choices were a 'Nduja Love Me?' 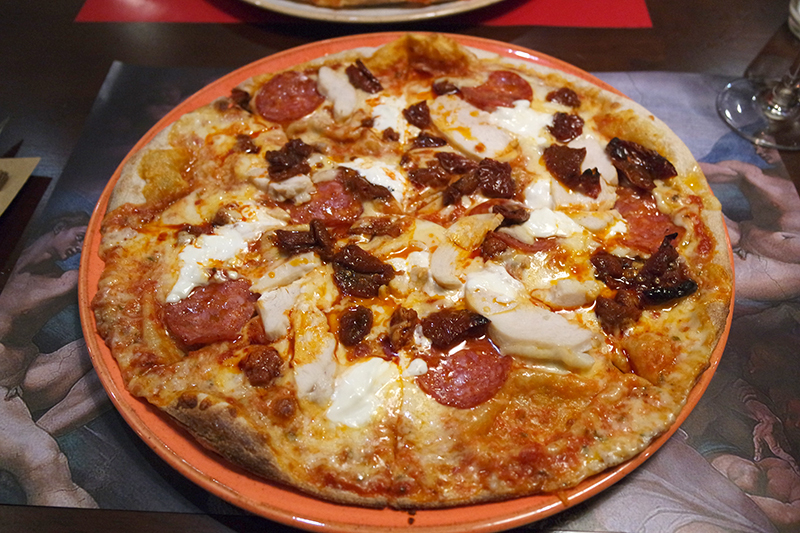 for me (tomato & basil sauce, grated mozzarella, mascarpone, spicy nduja paste, pepperoni, roast chicken, sundried tomatoes) and a 'Hickory Pig' for Chris (hickory barbecue sauce, grated mozzarella, chantico spiced cheddar, smoked pancetta, hickory smoked pulled pork) - both from the 'Pizza Buca' creation menu. 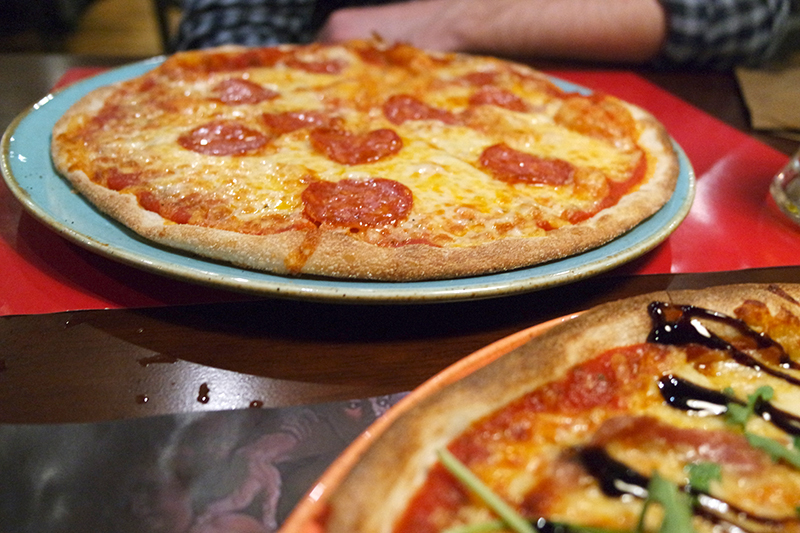 Both were well made and piled high with good quality toppings - impressive! Mine was very tasty and even though I'm usually more of a classic girl, the multitude of toppings seemed to work really well together; the mascarpone especially was a delicious touch. Chris was happy as Larry with the Hickory Pig as he loves BBQ sauce base pizzas but they just aren't for me so he doesn't have them often! We ate these a little too quickly, eager to try a couple more. Next up were two pizzas from the Classic menu - a simple Pepperoni and a Frestosa - tomato & basil sauce, stracchina cheese, rocket, prosciutto and balsamic glaze. I found the balsamic a little overbearing on the Frestosa but other than that, these were great too - though we definitely preferred our first choices from the Pizza Buca menu! 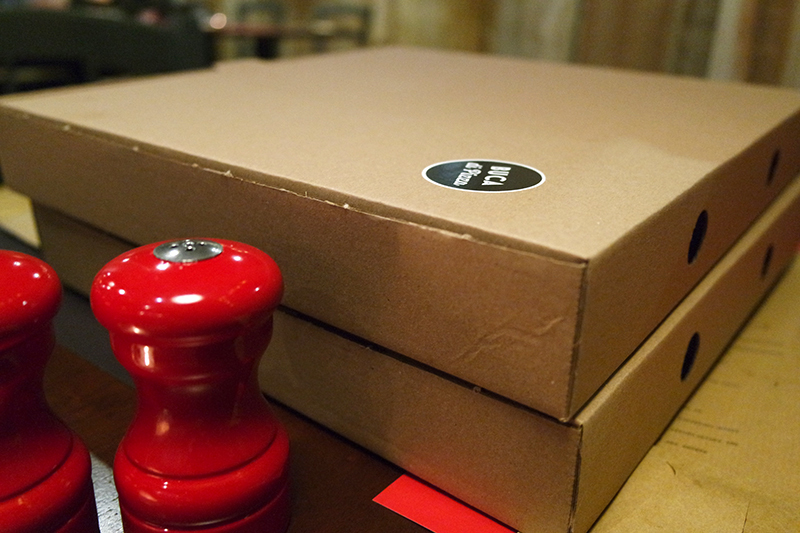 We didn't manage much from our second pizzas so the friendly staff kindly boxed them up for us to take away. 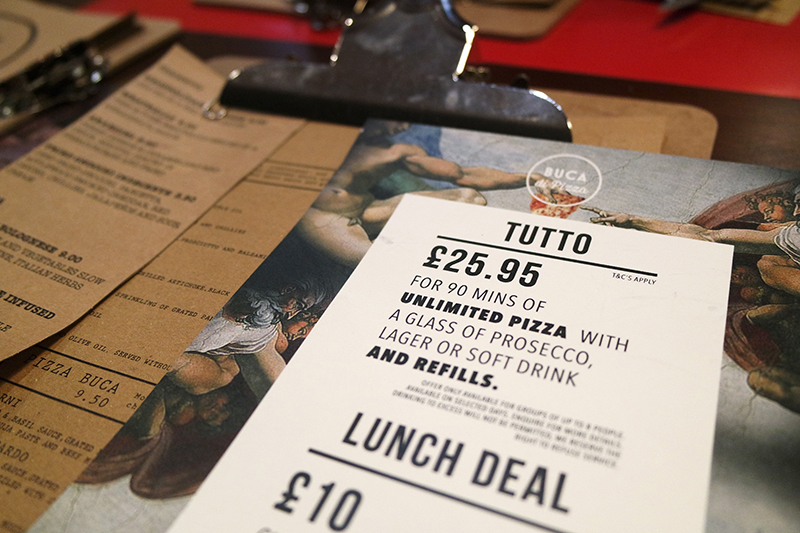 At £25.95 per person, the Tutto deal represents great value - and quality! 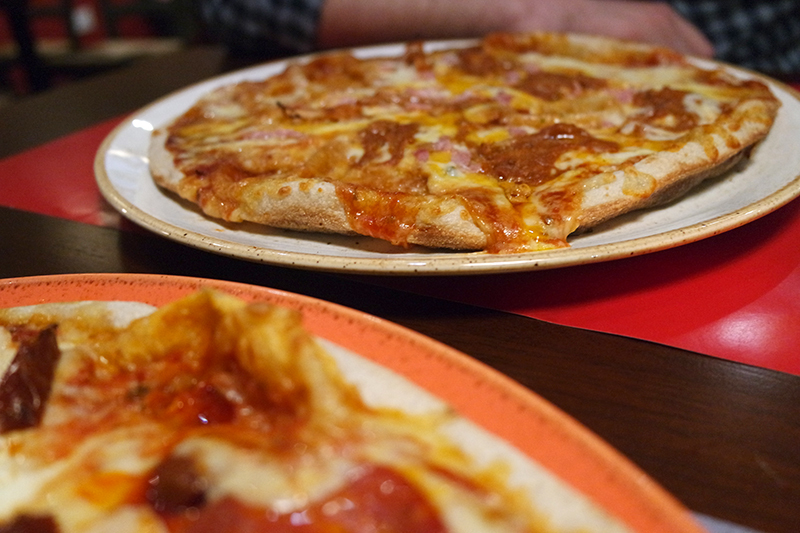 Though if stuffing your face isn't necessarily your thing, the individual pizza prices are really reasonable and they also serve pasta dishes too. Is bottomless pizza and prosecco something you'd like to try?